Free printable crafts and templates let you be the designer! You simply print and cut from your favorite paper. Use whatever creative tools and materials you have on hand to make a variety of beautiful creations. I have also included a few homemade gift certificates for a completely free homemade gift idea that is worth giving! 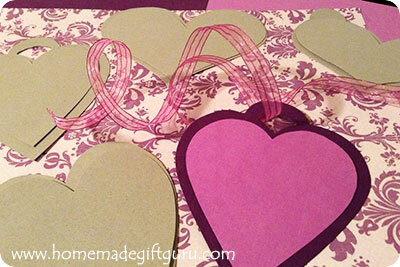 First, here's a quick mini tutorial for making stencils with the following free printable gift tag templates. 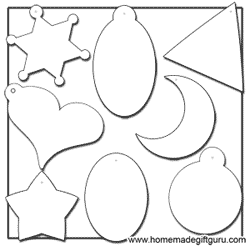 Making stencils with the free printable craft templates on this page couldn't be easier. Why make a stencil? 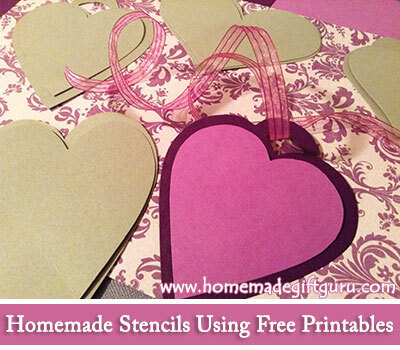 Because stencils can be used over and over again! 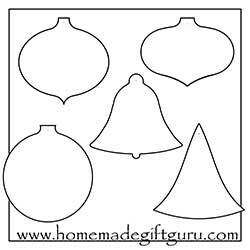 I love having a large collection of gift tag stencils and I think you will too. Card stock. 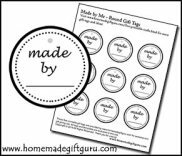 If you have card stock around, you can print these gift tag templates directly onto card stock and cut them out for instant templates. Then, anytime you want to use one, simply trace it onto the paper of your choice. If you don't have card stock, try the following... Bonus: They will be extra sturdy! Paperboard. Print them on regular printer paper. Cut them out. Then trace them onto a piece of card board or paper board, such as a cereal box. Then cut them out one more time. ...Your new free stencils will be nice and sturdy... ready to help you package gorgeous homemade gifts for a very long time! Note: You can also simply print these directly onto standard sized paper of your choice and cut your tags directly. 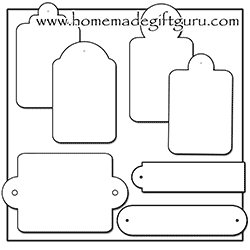 Here are several styles of gift tag templates for a variety of occasions. The playful shape tags are especially perfect for kids birthday parties and baby showers. 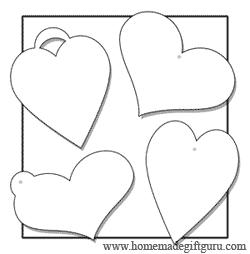 The heart tags are great for any occasion where you need to share a little extra sweetness. You can make gift certificates with my free printables. What you give is your choice. You'll find lots of gift certificate ideas and a few printable gift certificates to choose from by clicking any of the certificates below. That's it for now! 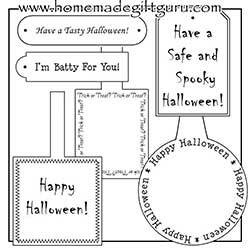 Check back often for more free printable crafts and templates.